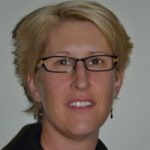 Caroline Graham is the Australian Secretariat, coordinator and manager of project activities. Dr Graham is the National coordinator of the Australian Neuromuscular Disorders Registries that includes Duchenne Muscular Dystrophy, Myotonic Dystrophy, and Spinal Muscular Atrophy. She coordinates the establishment and partnering of Australia-wide and international registries and biobanks. Dr Graham has been instrumental in driving efficiencies in the operational capacity of Genetic Services of WA to deliver health benefit. She has achieved this by undertaking stakeholder consultations, evaluation of existing infrastructure and clinical service delivery, and development of recommendations for a quality framework. Underpinning her policy and planning activities is 10+ years experience in biomedical research and 5 years as a Forensic Scientist.